For some of us, the first hint of a chill in the air means only one thing—Halloween season! If you wait all year for this spooky holiday, you'll love our latest roundup: The perfect Halloween in Mississippi. From the best Halloween parties to real haunts, there's something for everyone to enjoy this All Hallow's Eve! 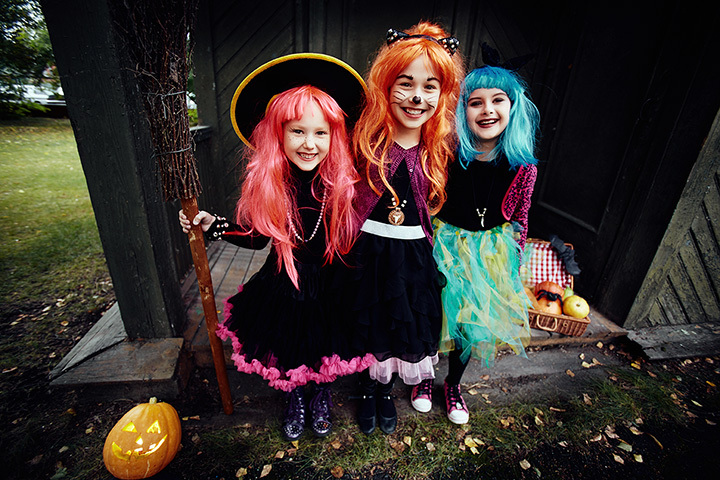 The first thing anyone needs when planning Halloween festivities is a great costume! Josette's has been providing high-quality costumes to Biloxi and the Gulf Coast since 1972. They also have a huge selection of fabrics if you want to make your own costume this year! Every year, Cedar Hill Farm in Hernando puts on one of the scariest shows in the Southeast. In fact, they warn that their night hours aren't recommended for children 10 and under. Attractions include the Haunted Hayride, Trail of Terror, Zombie Paintball, and Sensturbia, where you'll be plunged into complete darkness for the ultimate in jump scares! So much fun at Cedar Hills Farm tonight !! Stuckey's Bridge was originally opened in 1901 and is listed on the National Register of Historic Places, but that's not what makes this bridge perfect for your Halloween plans. According to legend, an innkeeper who murdered his guests in their sleep was hung on the bridge, and his ghost can still be walking along its length, his lantern flashing in the dark. Looking for something fun for the kids to do on Halloween? Check out Park After Dark, hosted by the Mississippi Museum of National Science and the Mississippi Children's Museum. Kids can enjoy activities at both museums, and shuttle service is available. This is fun for the whole family! Enjoy spooky science and family fun at Park After Dark, an annual event hosted by the Mississippi Children’s Museum and Mississippi Museum of Natural Science on October 27, 2017. One of the best things about Halloween is going to costume parties! Shucker's Oyster Bar hosts an annual costume party, complete with cash prizes, awesome music, drink specials, and more. Bring your A-game if you want to win the contest—the costumes are always impressive. It's not Halloween without candy! At Holli's Sweet Tooth in Oxford, you'll find a selection of over 300 candies, along with ice cream and baked treats. Whether you're stocking up for trick-or-treaters or you just want your own stash for the holiday, you'll definitely find whatever you're looking for! Is it lemon drop or lemon lime? Dr Pepper or Root Beer? If you think you know your Jelly Belly flavors, come see us today between 12 & 2 and try your luck for a variety of prizes! If you're having trouble deciding whether to celebrate Halloween with a nice dinner out on the town or by going on a ghost hunt, you're going to love King's Tavern in Natchez. Built in 1769, this is rumored to be one of the most haunted buildings in the state. Guests have reported seeing and hearing strange things for years, especially in the upstairs area, which used to be the inn. If you love haunted history, you'll love the ghost tour at the Biloxi City Cemetery, also called the Old Biloxi Cemetery. The tours have a different theme every year. Themes have include "Past Mayors" and "Building Biloxi.” These tours combine spooky tales with graveside re-enactments to really bring the past to life—or afterlife, as the case may be! Still looking for more scares? Check out Haunted Hill in Tupelo. You'll be ready for the fun as soon as you see the two black hearses parked out front. They've been running this attraction for two decades, so be prepared for professional-level fright! Halloween and horror movies go hand in hand, and there's no better place to celebrate a scary flick than at Fear Fete in Biloxi. Named America's Favorite Horror Convention by Horror Society, Fear Fete brings together film makers, horror fans, and cosplayers for a weekend full of frightening fun!